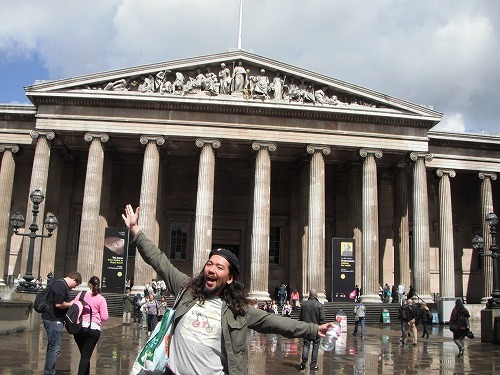 I went to the British Museum with Chavvy this morning. 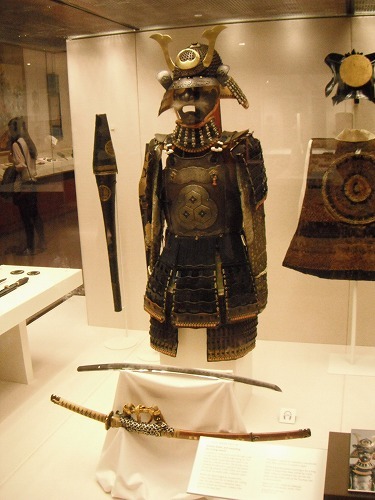 Recently she is visiting the museum quite often to attend "Free tour" by volunteers. 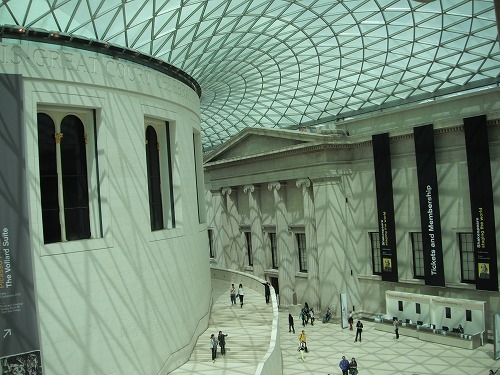 The main entrance of the British Museum. 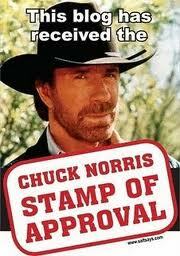 It's in ancient Greek style. Surprisingly, it was free admission!! Inside the museum, through the glass roof, sunlight came in. It's modern but still in a harmoney with the ancient Greek style. I like that. 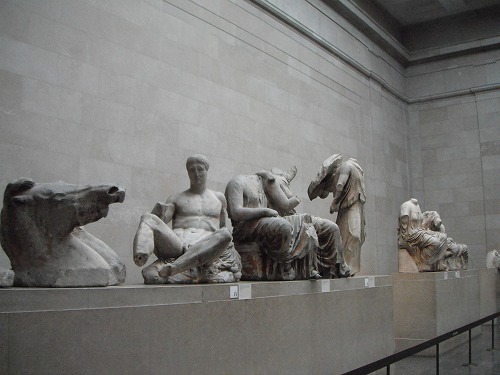 With Chavvy, I joined "Ancient Greek arts" free tour. 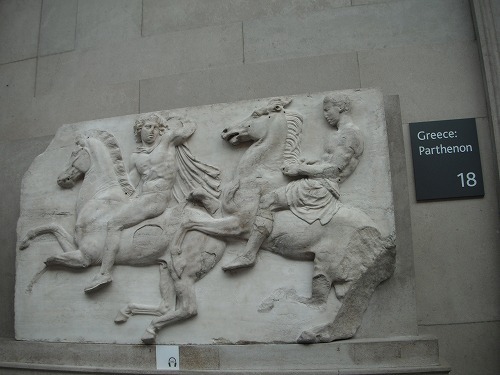 In this museum, those sculptures of the Parthenon of Athen. 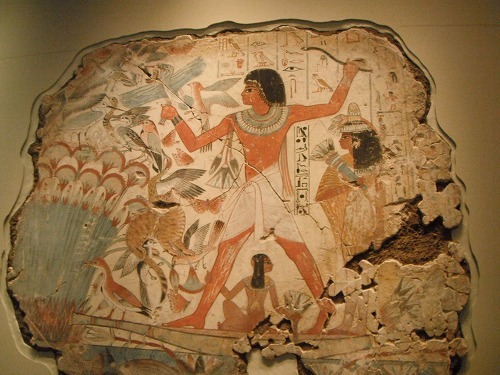 After tour, Chavvi was going to join another tour, so I went to see Ancient Egyptian collections. 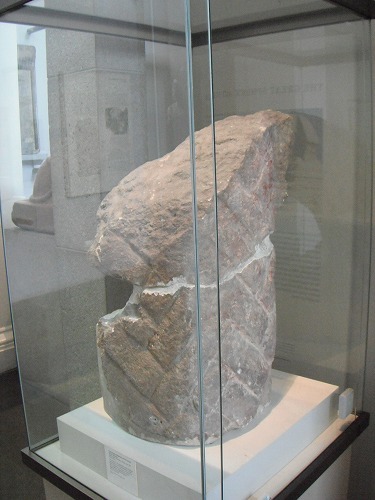 Here Rosetta Stone is displayed!! 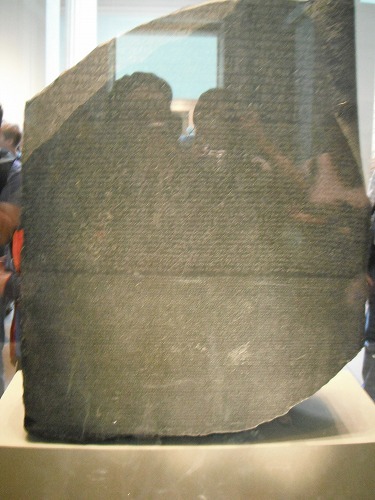 The Rosetta Stone is an ancient Egyptian granodiorite stele inscribed with a decree issued at Memphis in 196 BCE on behalf of King Ptolemy V. The decree appears in three scripts: the upper text is Ancient Egyptian hieroglyphs, the middle portion Demotic script, and the lowest Ancient Greek. 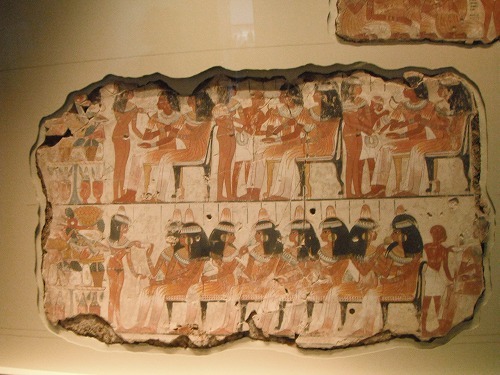 Because it presents essentially the same text in all three scripts (with some minor differences between them), it provided the key to the modern understanding of Egyptian hieroglyphs. But I read that Champollion who was the first one succeeded in translating Ancient Egyptian did not use the text of Rosetta Stone a lot. Well, at least the stone gave all schalors a hope. The goddess of war and healing, Sekmet!! I wondered what the guy was trying to do. Well, everyone knows Rames II. Amun - the god of all gods of Ancient Egypt. 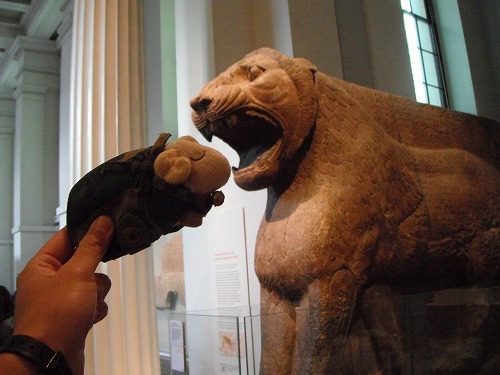 Mr. Sheep is trying to be the king of all sheep, so one day Mr. Sheep will be greaterthan Amun, that he said. 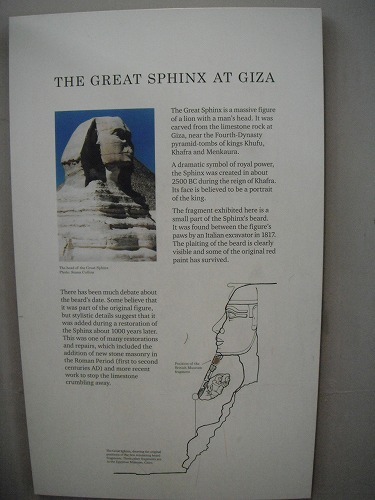 A part of beard of the Great Sphinx. Some original red paint was still visible. 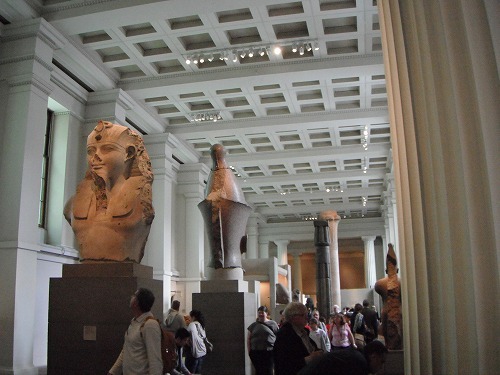 Eguptian goverment is actually requesting the museum to return the part to Egypt. Amenhotep III. 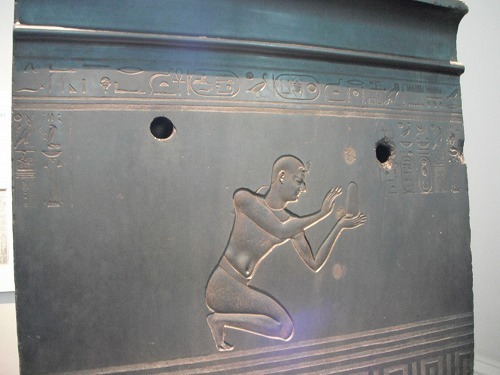 A mysterious king of 18th dynasty. I am interested in this king - the father of Akenaton, the grandfasther of Tutankhamen. 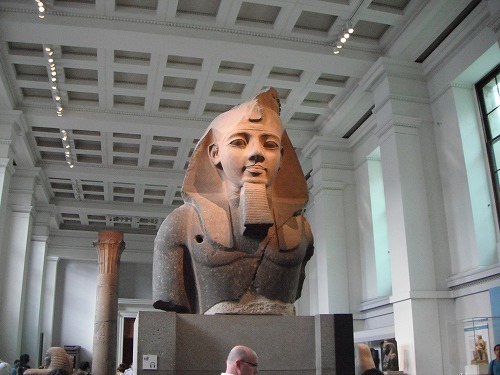 His son Akenaton Amenhotep IV) is known as "Heretic King". 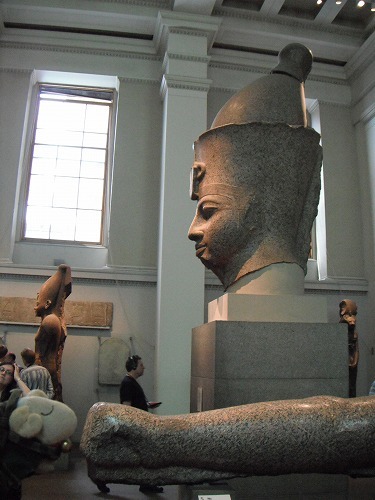 But Amenhotep III seems to be as interesting as his son. 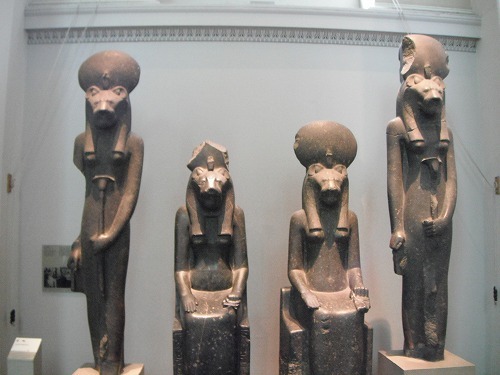 I like Ancient Eguptian arts a lot. 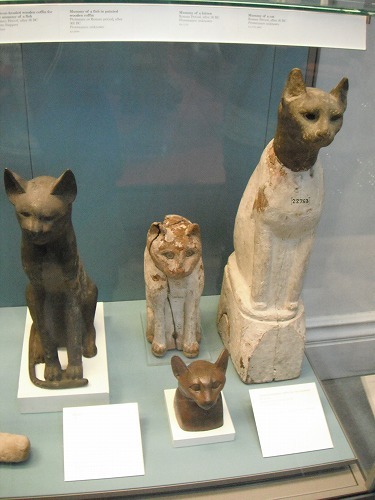 There were more than Ancient Egyptian collections. 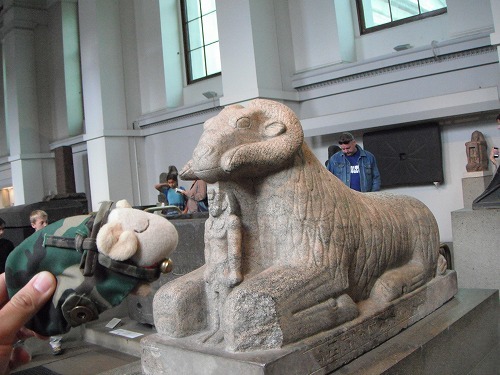 Sphinx of Assyria and Mr. Sheep. 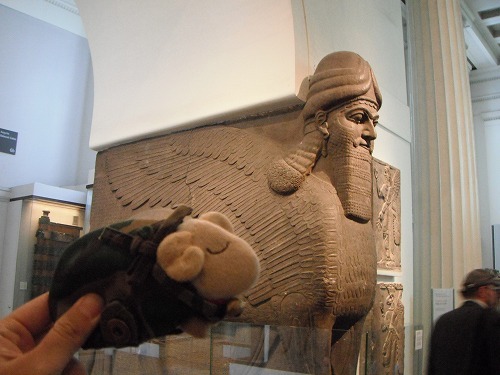 The lion of Assyria and Mr. Sheep!! 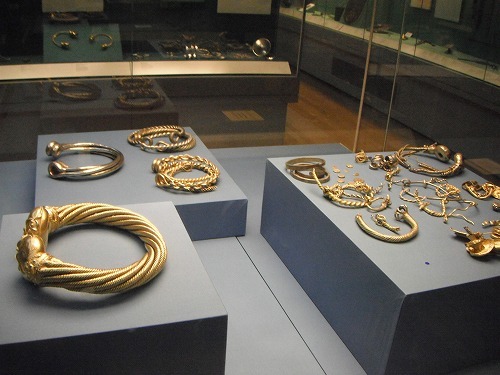 Celtic accessaries. I like Celtic dynamic design. 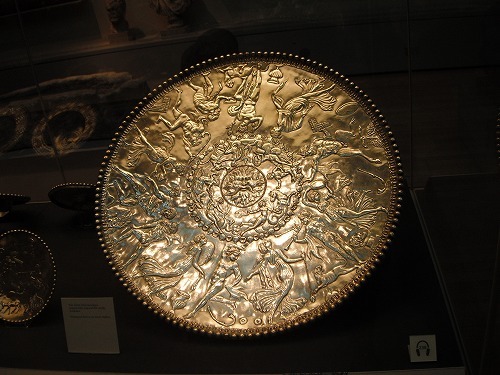 Collections of silver wears of Roman occupaction period. 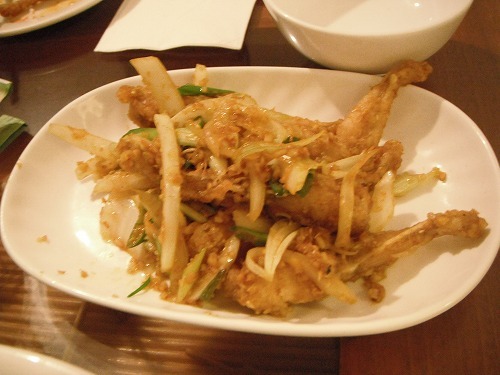 There were China, Korea, Southeast Asia, Inda, North America, Mexico and Africa. Too many things to see in a day, indeed. It was raining when I came out of te museum. I waited for a while until the rain eased and I took trains to Lucy's place. I met Lucy in San Pedro de Atacama, Chile 9months ago!! My friend Ohaggi (Kumi) was with her and she introduced Lucy to me. We talked a while at home and when the rain stopped, we went for a walk. 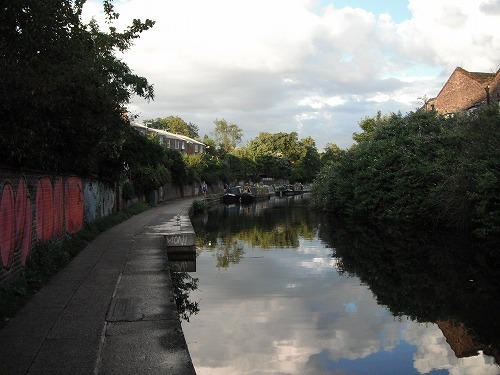 There was a canal and we walked along. 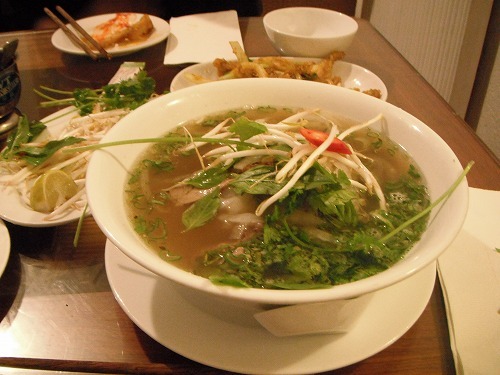 and I had Pho - beef soup noodle. It would be my first Vetnamese since I left Australia and it was really good. It was interesting but busy day again. I need to slow down a bit.